This guy, like Captain Beefheart, studied at the Howlin’ Wolf School of Vocal Alchemy. 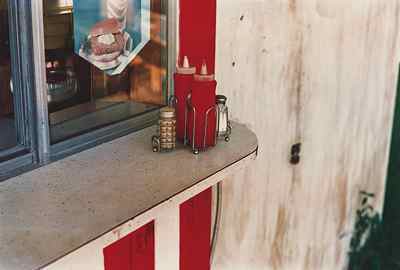 Yesterday, while at the Art Institute, I stopped again at the William Eggleston exhibit (previously mentioned here and here), which runs through May 23rd. It includes not only the album cover I posted earlier (Big Star’s Radio City), but also this one. Eggleston, an accomplished piano player, once accompanied Chilton on a track—the Nat King Cole classic “Nature Boy,” which appears on Big Star’s Third/Sister Lovers (expanded reissue), produced by Jim Dickinson, as well as Keep an Eye on the Sky (2009 boxed set). Long after a song has ended, you still hear that voice. A couple weeks ago I mentioned Bob Marovich’s radio show on WLUW-FM (Saturday, 10-11 a.m. [CST]). Another wonderful gospel radio show is Kevin Nutt’s “Sinner’s Crossroads” on WFMU-FM (Thursday, 7-8 p.m. [EST]). Kevin describes the show this way: “Scratchy vanity 45s, pilfered field recordings, muddy off-the-radio sounds, homemade congregational tapes and vintage commercial gospel throw-downs; a little preachin’, a little salvation, a little audio tomfoolery.” If you can’t catch it live, don’t worry—you can listen anytime. Here’s more from my favorite 101-year-old composer. Want more Elliott Carter? Here. Here. I used to write these gigantic pieces that were very complex and took a long time to compose, if not to play. I am now much more impatient and couldn’t stand working for so long on the same thing. But also those pieces were me working out certain ideas about music. Those ideas are now part of my life, so I don’t have to think about them in quite the same way. But some things never change, in that you are still glad to finish a piece and still wonder whether it is as good as you hoped it might be when you started out. The Two Diversions were an idea of Ursula Oppens. Oppens decided that Carnegie Hall should commission composers to write what they considered easy pieces, and to make an album for piano students, and so I wrote two pieces for this album. I don’t think they’re as easy as they’d hoped, but there are some people with even harder ones. I threw a party, wore a very sharp suit. My wife had out all sorts of hors d’oeuvres, some ordered from long off—little briny peppery seafoods you wouldn’t have thought of as something to eat. We waited for the guests. Some of the food went bad. Hardly anybody came. It was the night of the lunar eclipse, I think. Underwood, the pianist, showed up and maybe twelve other people. Three I never invited were there. We’d planned on sixty-five. I guess this was the signal we weren’t liked anymore in town. Thanks for linking—very much appreciated! Unlike Aretha Franklin, she doesn’t have a big, commanding voice. But just as some actors are able to do as much (or more) with less, so, too, with singers. And when it comes to expressing heartache and vulnerability, a voice that’s smaller, less powerful isn’t necessarily a liability—it can be a strength. Today, celebrating our 200th post, we revisit a few favorites. If I didn’t have kids, would my ears be stuck, forever, on “repeat”? Here’s something my younger son Luke, who just started college, played for me recently, after first pronouncing it, with quiet but absolute authority, the best thing this guy has done (already Luke’s learned that what’s important isn’t to be right; it’s to seem right). And here’s a track my older son Alex played for me a couple weeks ago, before heading back to school. Koan for aging parents: What is the sound of a childless house? How to be both solid and fluid, both fat and delicate. How to make the beat breathe. These are things that, as a child, Philly Joe Jones began to learn while dancing—tap-dancing. Just watch the way Thelonious Monk, listening to this solo, rocks back and forth (1:25-1:50), as if he’s about to break into a little dance himself. Here’s Arthur Russell, the “seminal avant-garde composer, singer-songer-writer, cellist, and disco producer” who died in 1992 at the age of 40 (of AIDS-related complications) and is the subject of both a recent documentary, Wild Combination, and a new book, Hold On To Your Dreams: Arthur Russell and the Downtown Music Scene, 1973-1992. Here one of the greatest American artists of the 20th century (composer Morton Feldman [1926-1980]) pays homage to another (painter Mark Rothko [1903-1970]). I first heard this guy back in the mid-1970s, after reading a review in the New York Times, by the late Robert Palmer, of his first album, The Gospel Saxophone of Vernard Johnson—and I’ve been listening to him ever since. Music . . . helped me to go deeper inside myself, to find new things there: the variety which I had vainly sought in life and in travel, yet the longing for which was stirred in me by the surge of sound whose sunlit wavelets came to break at my feet. 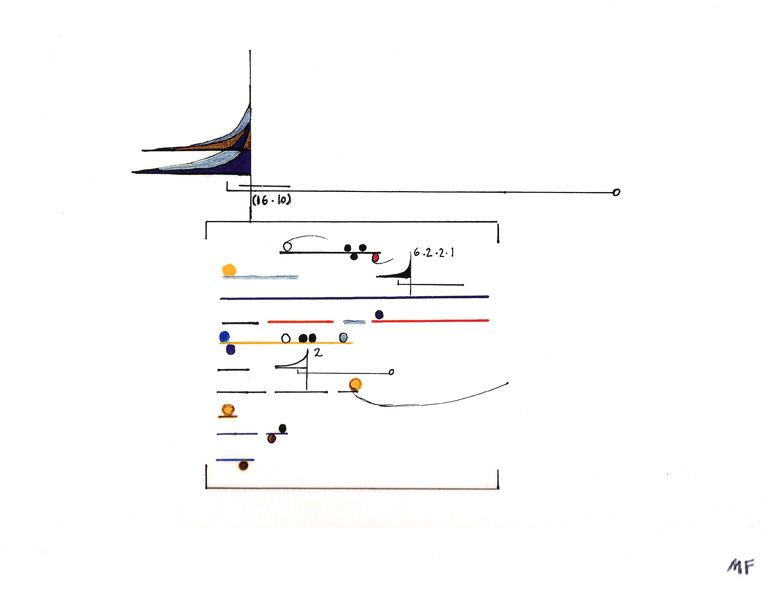 Trying to capture jazz in standard notation can be like trying to translate poetry into another language—what you wind up with is everything but the poetry. 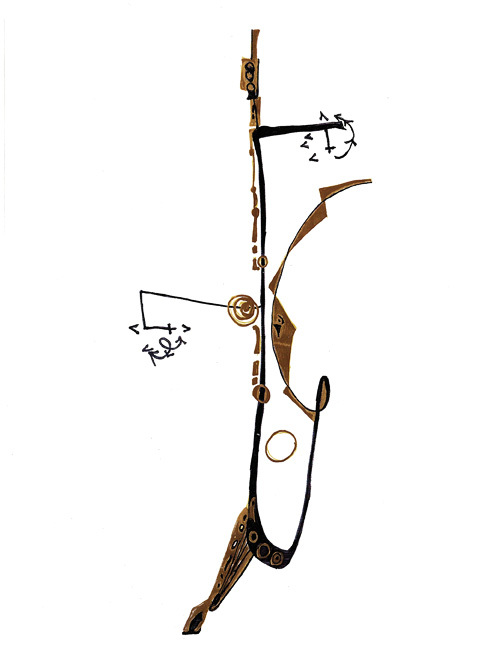 So composer/trumpeter Wadada Leo Smith (who, like many of his peers, eschews “jazz” as a label for his music) invented his own system of graphic notation. 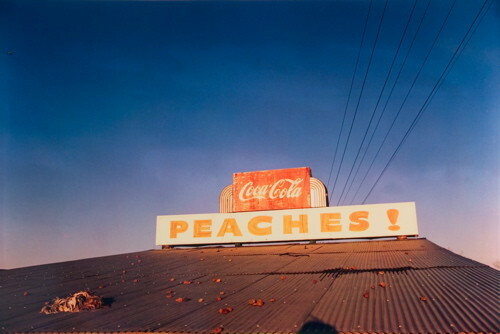 Earlier this month, when I mentioned the exhibit of William Eggleston’s photographs that’s currently at the Art Institute—posting an album cover that you’ll find in a display case there—I didn’t expect that Big Star would appear here again before the month’s end. 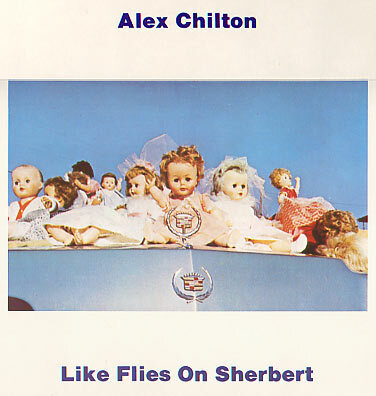 But then I didn’t expect that Alex Chilton would pass away, either. 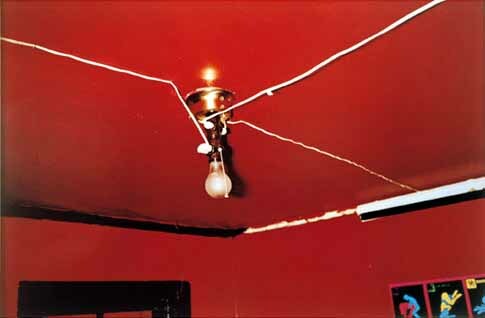 Alex had more than simply an artistic interest in Eggleston and his work. He’d known the photographer, who was a good friend of his parents, since he was a little boy. Here, again, is the image Alex chose for that album cover, followed by a couple more from this exhibit.